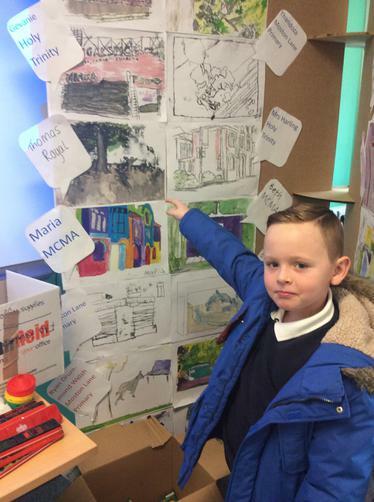 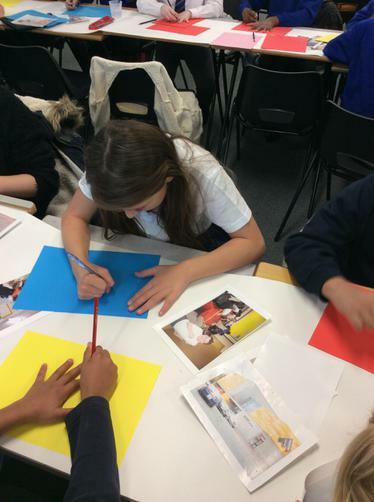 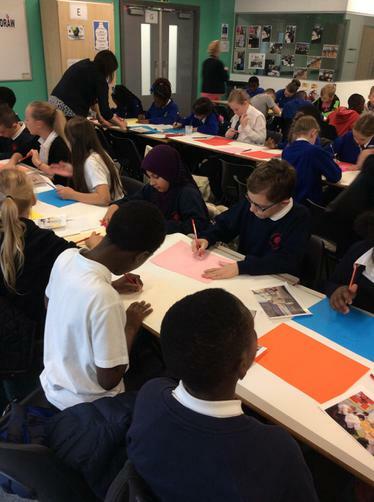 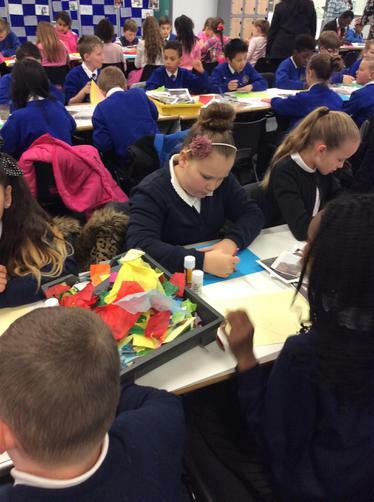 This morning the year 5/6 children went up to MCMA to continue with their Big Draw project. 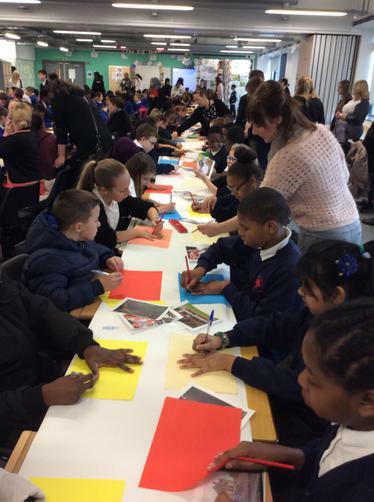 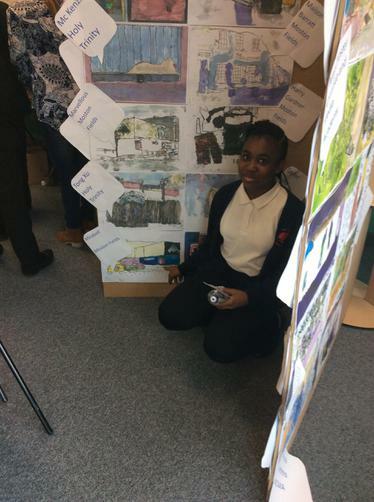 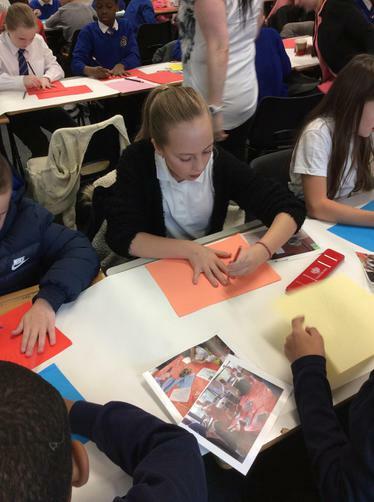 They worked with other schools in the area on a huge scale art project! 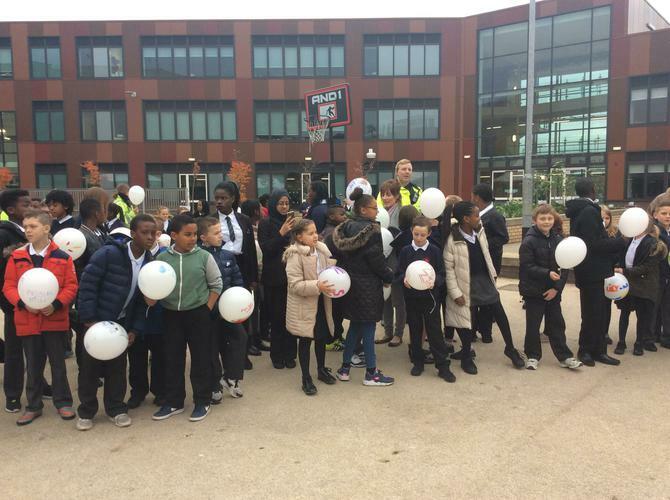 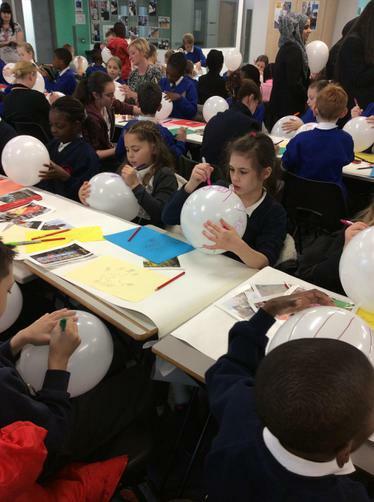 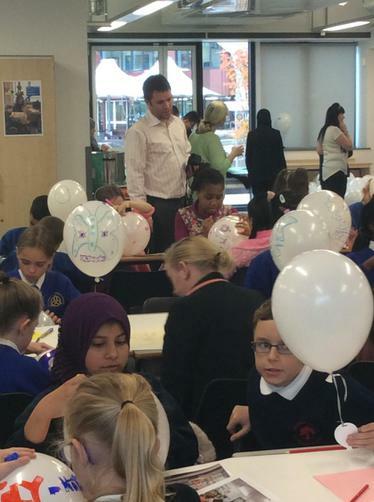 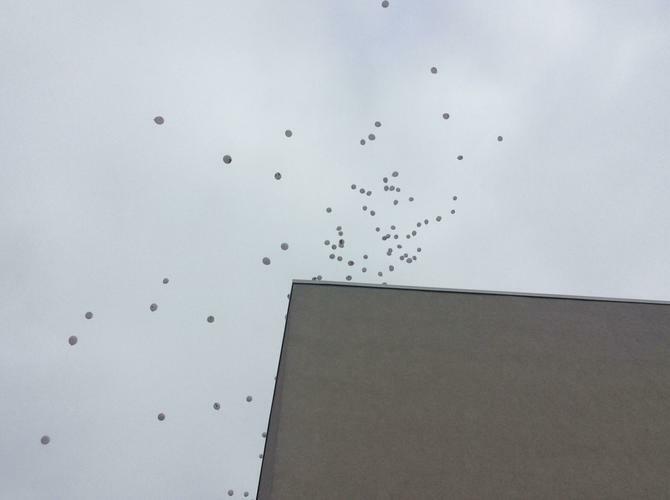 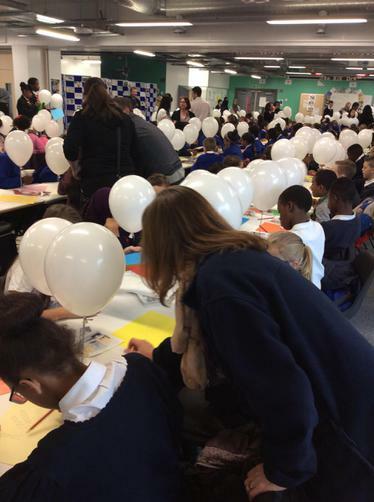 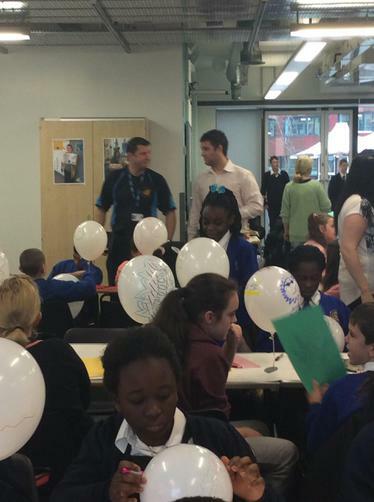 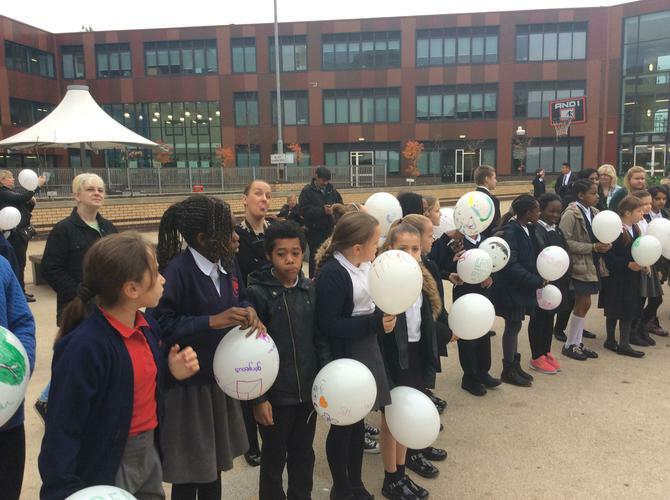 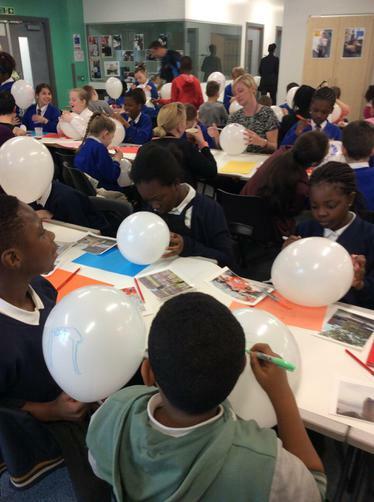 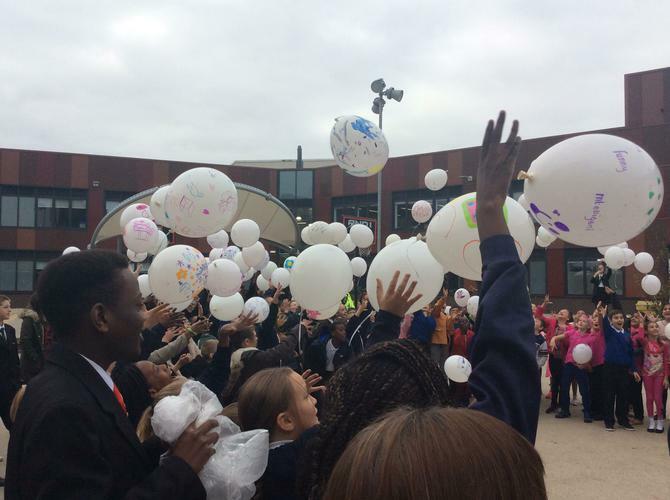 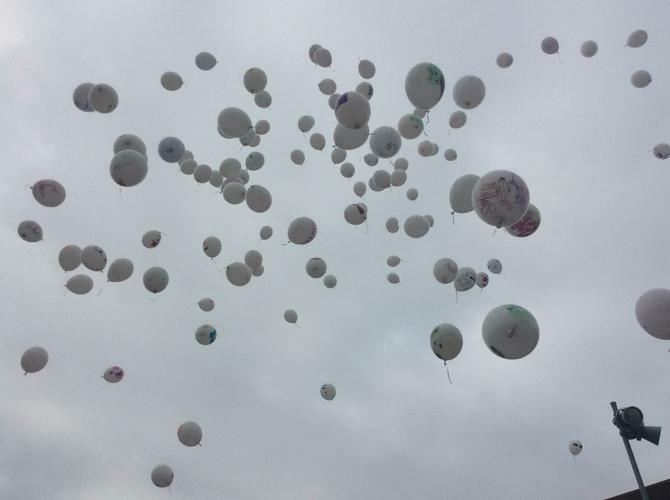 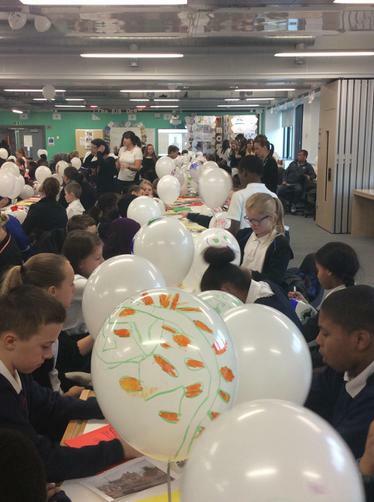 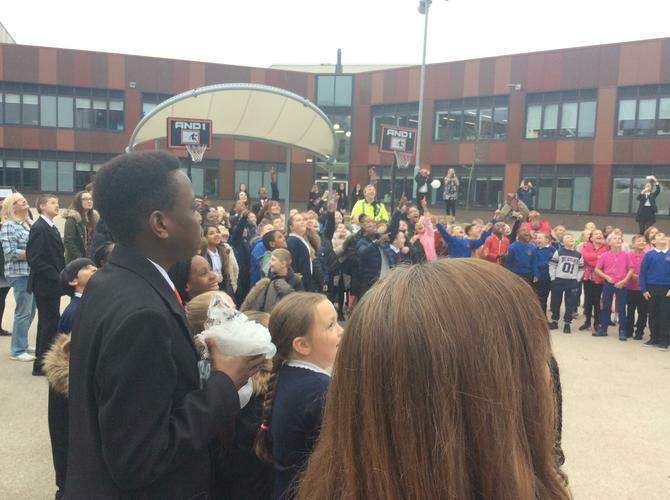 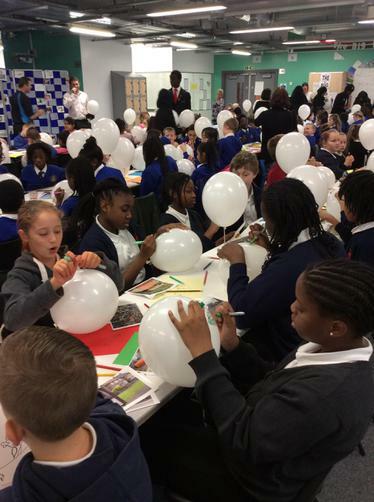 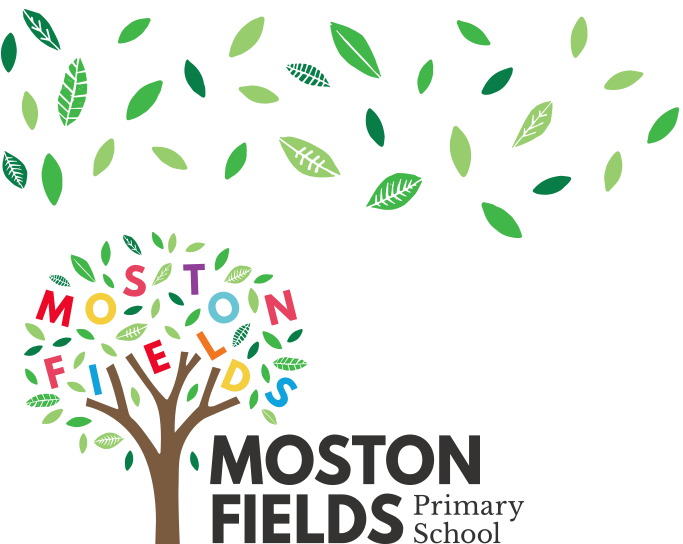 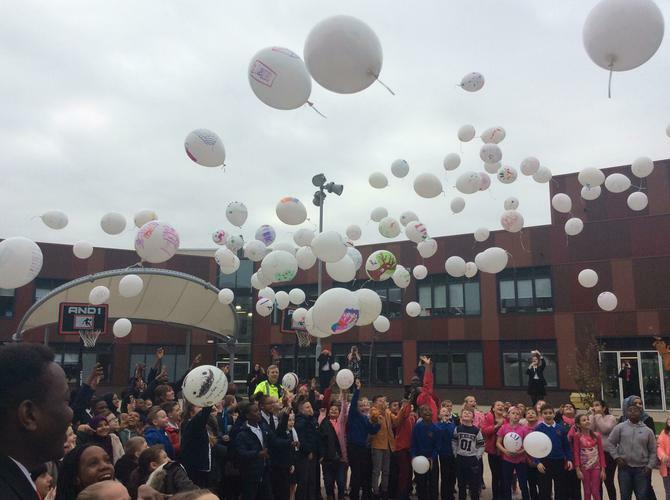 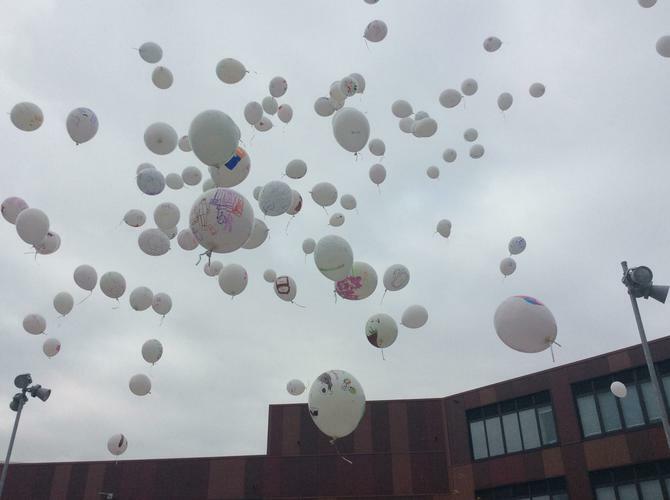 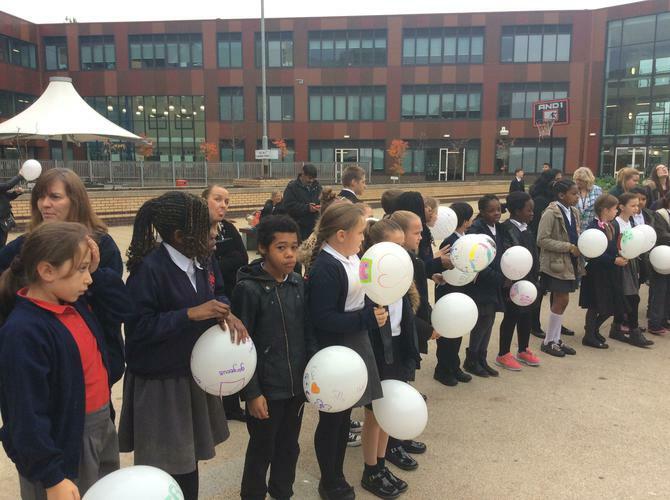 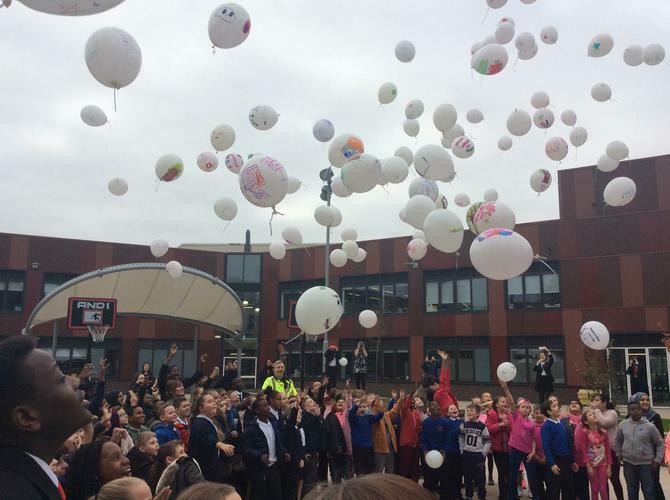 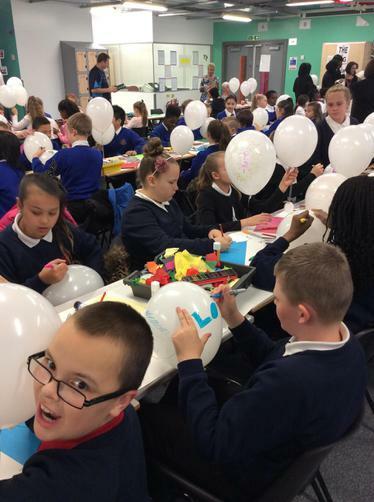 They designed and decorated Moston-themed balloons which they released into the community! 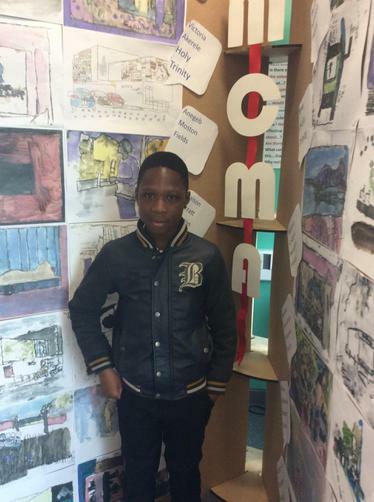 A big thank you to MCMA, we have thoroughly enjoyed the project!